NOTE: The URLs listed below that are not hyperlinked are no longer avaiable online since this material was first compiled. Patients with self-reported leg pain below the knee utilise more health care are more likely to be unemployed and have poorer quality of life than those with LBP only 12 months following primary care consultation. The presence of leg pain warrants early identification in primary care to explore if targeted interventions can reduce the impact and consequences of leg pain. Patient groups exhibited significantly lower performance than the healthy group in all physical measures (P < .0005) except for neck muscle endurance in flexion for women (P > .09). There was a general trend toward worse results in the CR group than the WAD group, with significant differences in neck active range of motion, left hand strength for women, pain intensity, Neck Disability Index, EuroQol 5-dimensional self-classifier, and Self-Efficacy Scale (P < .0001). Patients had worse values than healthy individuals in almost all physical measures. There was a trend toward worse results for CR than WAD patients. We describe a case of vertebral artery dissection presenting as cervical radiculopathy in a previously healthy 43–year-old woman who presented with proximal left arm weakness and neck pain aggravated by movement. Cervical magnetic resonance imaging (MRI) and angiography revealed dissection of the left vertebral artery with an intramural hematoma compressing the left C5 and C6 nerve roots. An important and unique finding in this current study is that although 123 (23%) of the patients with acute LBP and 71 (24%) of the patients with chronic LBP were diagnosed by their chiropractors as having radiculopathy, this finding was not a negative predictor of improvement. Radiculopathy was not simply defined as leg pain but required clinical signs of nerve root compression as determined by the examining chiropractor. Previous studies investigating outcomes from patients with LBP undergoing spinal manipulation have purposely excluded patients with radiculopathy, [2, 10, 29] and others have found that the presence of leg pain is a negative predictor of improvement. [12, 24, 30] This study purposely included these patients to evaluate this subgroup. It is quite common for patients with LBP experiencing radiculopathy to seek chiropractic care in Switzerland and to receive spinal manipulative therapy as one of the treatment options. Presented here was a patient with acute C7 radiculopathy that, despite MRI findings of a C6–7 disc protrusion with right-sided lateral canal stenosis, resolved following a course of chiropractic treatment that included SMT and cervical paraspinal PIR. The patient’s radiculopathy symptoms did not return in 3 years of follow-up. A randomized trial by researchers at an outpatient rehabilitation department in Italy involving 210 patients with chronic, nonspecific low back pain compared the effects of spinal manipulation, physiotherapy and back school. The participants were 210 patients (140 women and 70 men) with chronic, non-specific low back pain, average age 59. Back school and individual physiotherapy were scheduled as 15 1-hour-sessions for 3 weeks. Back school included group exercise and education/ergonomics. Individual physiotherapy included exercise, passive mobilization and soft-tissue treatment. Spinal manipulation included 4–6 20-minute sessions once-a-week. Spinal manipulation provided better short and long-term functional improvement, and more pain relief in the follow-up than either back school or individual physiotherapy. Does the Pain Necessarily Follow a Specific Dermatome? Two hundred twenty-six nerve roots in 169 patients were assessed. Overall, pain related to cervical nerve roots was non-dermatomal in over two-thirds (69.7%) of cases. In the lumbar spine, the pain was non-dermatomal in just under two-thirds (64.1%) of cases. The majority of nerve root levels involved non-dermatomal pain patterns except C4 (60.0% dermatomal) and S1 (64.9% dermatomal). The sensitivity (SE) and specificity (SP) for dermatomal pattern of pain are low for all nerve root levels with the exception of the C4 level (Se 0.60, Sp 0.72) and S1 level (Se 0.65, Sp 0.80), although in the case of the C4 level, the number of subjects was small (n=5). In most cases nerve root pain should not be expected to follow along a specific dermatome, and a dermatomal distribution of pain is not a useful historical factor in the diagnosis of radicular pain. The possible exception to this is the S1 nerve root, in which the pain does commonly follow the S1 dermatome. This is a retrospective review of 162 patients with a working diagnosis of radiculopathy who met the inclusion criteria (312 consecutive patients were screened to obtain the 162 cases). Data reviewed were collected initially, during, and at the end of active treatment. The treatment protocol included chiropractic manipulation, neuromobilization, and exercise stabilization. Of the 162 cases reviewed, 85.5% had resolution of their primary subjective radicular complaints. The treatment trial was 9 (mean) treatment sessions. Several physical maneuvers are provocative to lumbosacral nerve roots or the sciatic nerve. Provocative maneuvers are intended to reproduce signs and symptoms of lower extremity radiculopathy/sciatica. Other maneuvers counter to the provocative maneuvers (palliative maneuvers) decrease nerve root and sciatic irritation and the related signs and symptoms (Figure 1). The association between lumbar facet joint inflammation and radiculopathy was investigated using behavioral, histologic, and immunohistochemical testing in rats. 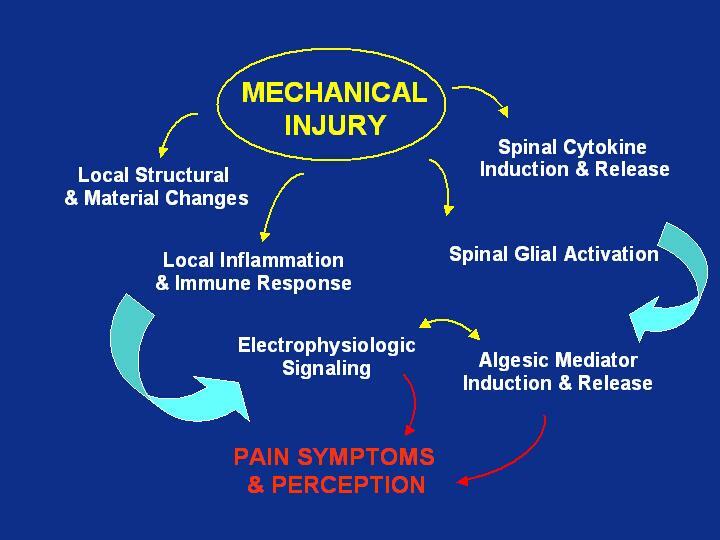 Both mechanical and chemical factors have been identified as important for inducing radiculopathy. In lumbar spondylosis, facet joint osteophytes may contribute to nerve root compression, which may induce radiculopathy. Furthermore, inflammation may occur in the facet joint, as in other synovial joints. Inflamed synovium may thus release inflammatory cytokines and induce nerve root injury with subsequent radiculopathy. (In this study) when inflammation was induced in a facet joint, inflammatory reactions spread to nerve roots, and leg symptoms were induced by chemical factors. These results support the possibility that facet joint inflammation induces radiculopathy. This paper reports a case of a patient with radiculopathy secondary to multilevel disc herniations that appeared to be precipitated by cervical manipulation and who was treated nonsurgically with resolution of the problem. It is doubtful that the manipulation actually caused the disc herniations, but it is possible that it caused preexisting asymptomatic disc herniations to become symptomatic. Consideration should be given to nonsurgical referral of patients who have postmanipulative complications but do not need immediate surgery. A prospective observational cohort study on consecutive patients with CR was performed. Data on 35 consecutive patients were collected at baseline, at the end of the active treatment, and at a minimum of 3 months after cessation of treatment. Disability was measured using the Bournemouth Disability Questionnaire. Pain intensity was measured using the Numerical Pain Rating Scale. Patients were also asked to self-rate their improvement. Complete outcome data were available for 31 of the 35 patients. Twenty-seven patients were reached for long-term follow-up. The mean number of months from last treatment to follow-up was 8.2 months. Seventeen patients (49%) reported their improvement as "excellent" and another 14 (40%) did so as "good." The mean patient-rated improvement was 88.2%. Because spinal manipulation (SM) is a mechanical intervention, it is inherently logical to assume that its mechanisms of therapeutic benefit may lie in the mechanical properties of the applied force (mechanical mechanisms), the body's response to such force (mechanical or physiologic mechanisms), or a combination of these and other factors. Basic science research, including biomechanical and neurophysiological investigations of the body's response to SM, therefore, should assist researchers, educators, and clinicians to understand the mechanisms of SM, to more fully develop SM techniques, to better train clinicians, and ultimately attempt to minimize risks while achieving better results with patients. This study revealed a statistically significant reduction in pain as quantified by visual analogue scores. The mean number of treatments required was 13.2 +/- 8.2, with a range of 6 to 37. Only 3 persons required more treatments than the mean plus 1 standard deviation. The results of this study show promise for chiropractic and manual therapy techniques such as flexion distraction, as well as demonstrating that other, larger research studies must be performed for cervical radiculopathy. Professional shampoos have previously been implicated in beauty parlor stroke syndrome and salon sink radiculopathy. The purpose of this study was to record pain, dizziness, and cervical blood flow while subjects were specifically placed into the salon sink position and to determine whether an additional cervical support would alter these symptoms and measurements. The treatment consisted of intermittent on-the-door cervical traction under the supervision of our physiotherapists. Complete symptom resolution for each patient occurred within 3 weeks. One patient who had an episode of recurrence 16 months after the first treatment was successfully managed again with cervical traction and physiotherapy. Cervical spine traction could be considered as a therapy of choice for radiculopathy caused by herniated disks, even in cases of large-volume herniated disks or recurrent episodes. Six of eight patients had a good outcome associated with receiving manipulation performed by contacting the cervical spine at the level of the radiculopathy, laterally flexing toward the side of radiculopathy, rotating the neck away from the side of the radiculopathy and applying a gentle high-velocity, low-amplitude thrust. Two patients had an exacerbation of arm pain and increased neurological deficit associated with manipulation performed with the neck rotated toward the side of radiculopathy. There is little compelling evidence supporting or disputing the use of manipulation for patients with cervical spine radiculopathy. In our patients, rotary manipulation was associated with a different outcome depending on the direction of neck rotation. Prospective time-series studies and randomized, blind trials are needed to identify the efficacy and effectiveness of different manipulation techniques for this condition. Although this study does NOT involve chiropractic care per se, it does entail many conservative components of chiropractic management. It is listed here because it makes a powerful care that non-surgical conservative care is highly effective. Treatment included chiropractic manipulative therapy, longitudinal cervical traction and interferential therapy. The patient began a regular schedule of treatments, which started on a daily basis but were gradually reduced as the patient progressed. By the third week of treatment, neck and shoulder pain was completely resolved. Subjective evaluation indicated the radicular pain to be improved by 60% within 6 wk. The patient's pain, numbness and grip strength returned to normal within 5 months. Treatment included chiropractic manipulative therapy, longitudinal cervical traction and interferential therapy. The patient began a regular schedule of treatments, which started on a daily basis but were gradually reduced as the patient progressed. By the third week of treatment, neck and shoulder pain was completely resolved. Subjective evaluation indicated the radicular pain to be improved by 60% within 6 wk. The patient's pain, numbness and grip strength returned to normal within 5 months. Conservative treatment including chiropractic manipulative therapy seems to be a reasonable alternative to surgery, for cervical radiculopathy caused by a herniated cervical disc. Clinical trials should be performed to evaluate long term success rate, risk of permanent disability, rate of recovery and cost effectiveness of this and other forms of treatment for cervical radiculopathy caused by herniated nucleus pulposus.